“Mechanical Rotary Transmission Made Easy” MasterFlex and LinkFlex are S.S. White UK’s standard parts approach to metric Standard Flexible Shafts. Assemblies are made to order and the coding system identifies type, connection and length data. Contact SS White Technologies UK Ltd for more details. LinkFlex is a basic S.S. White product that is suitable for connecting equipment over short distances, usually up to 300 mm due to the shaft not being stabilised. LinkFlex consists of two female couplings, one each end, joined to a length of flexible shaft to interface with driving and driven equipment. Contact SS White for standard shaft and corresponding coupling size combinations. Example: LF03040/03/04 = LinkFlex Ø3mm shaft, 40mm between couplings, Ø3mm bore 1st end, Ø4mm bore 2nd end. NB length (L) given is to the bottom of the coupling recesses. (the length of the gap to be filled) Overall length (O/L) is given for information. Contact SS White Technologies UK Ltd for more details. 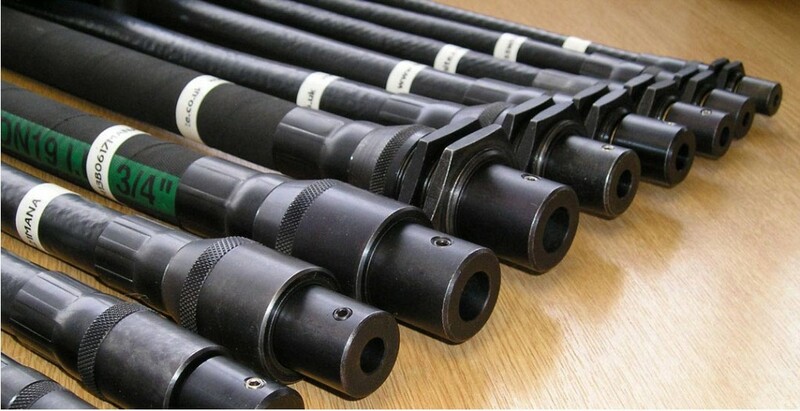 MasterfFlex is a core S.S. White product that is suitable for connecting equipment over longer distances than LinkFlex due to the shaft being stabilised by the casing, usually up to 5 meters. 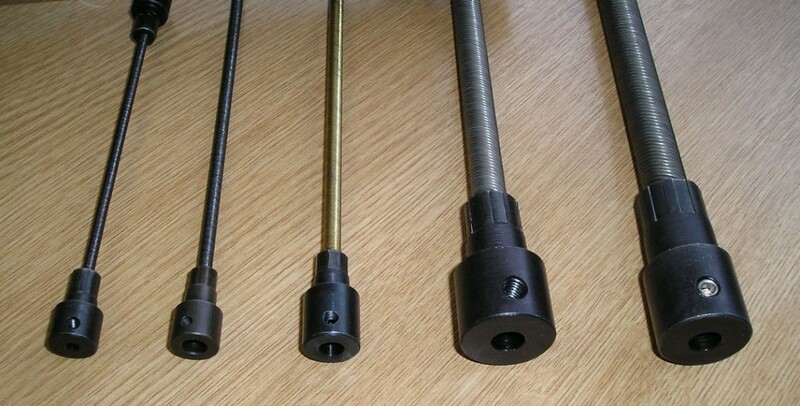 MasterFlex consists of shaft, casing and end connections to interface with driving and driven equipment. A standard approach to solving many drive and coupling problems. Designed to meet the needs of industry. A rotary power transmission drive that is truly flexible. An assembly incorporating a flexible shaft that is simple by design. Safe – no external moving parts (except for end connectors) thus eliminating the need for guards. Accommodating of design, build tolerances. Multiple bends and large offsets can be accommodated. Up to 5 metres long (contact S.S. White for longer drives). High Duty (Ball bearing) assemblies can be used for any applications where the running speed does not exceed the values given in the MasterFlex performance table. Applications include; Hand held tools (drills, lapping discs etc…), connection of a motor to an appliance where the motor (for safety, noise, or cleanliness reasons) needs to be mounted at a distance from the appliance. Example; M04B1152MAMA = MasterFlex, 4mm shaft, Bi-directional, 1152 mm overall length, ball bearing threaded coupling, 4mm coupling both ends. Suffix ‘SS’ denoting stainless steel ends may be added. Other lengths, both longer and shorter, can be manufactured. Couplings to suit your requirements can be manufactured from stainless steel, steel, ferrous and non ferrous materials.